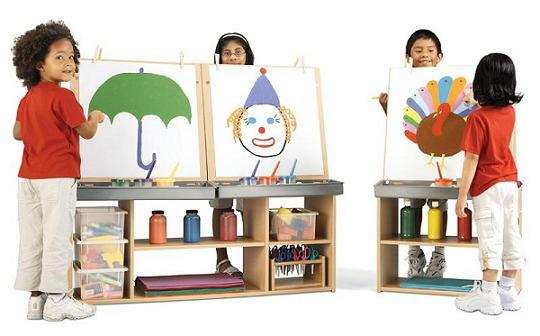 Make art the focus of your room with these 2 student and 4 student art centers. Art centers are available in either minimal assembly or fully assembled options. The minimal assemble items cost less and generally have a cheaper shipping cost. Add optional "Caster Kit - A" to make this unit mobile (sold separately).